Simple ways to convert YouTube videos to iMovie? As we know, iMovie is an App powered by Apple which can record, watch, edit, and share your videos through it. Yet, YouTube is the largest video sharing site in the world. May be you want to download YouTube videos to your device for offline viewing or editing by using iMovie, but only to find that most of the YouTube video cannot be recognized due to the wrong formats. As iMovie only supports formats like MP4, MOV, DV and AIC, we need a YouTube to iMovie converter to do the job. Keep on reading if you still looking for good ways to download and convert YouTube videos. Here are two Apps can help you fulfill this mission. 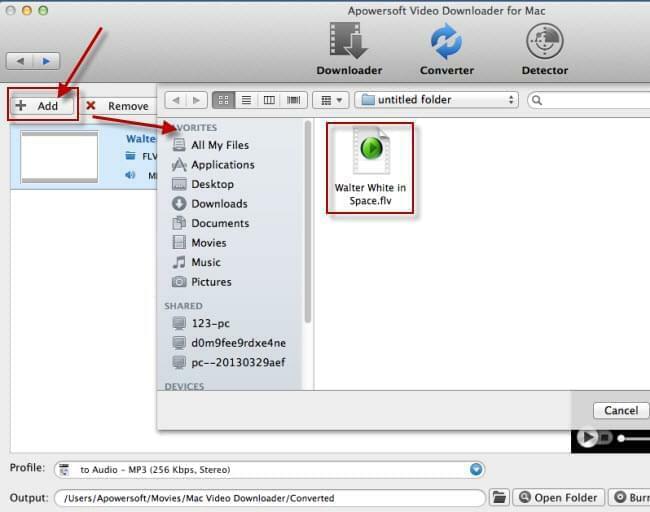 Apowersoft Video Downloader for Mac is a professional video downloader which features powerful conversion function. 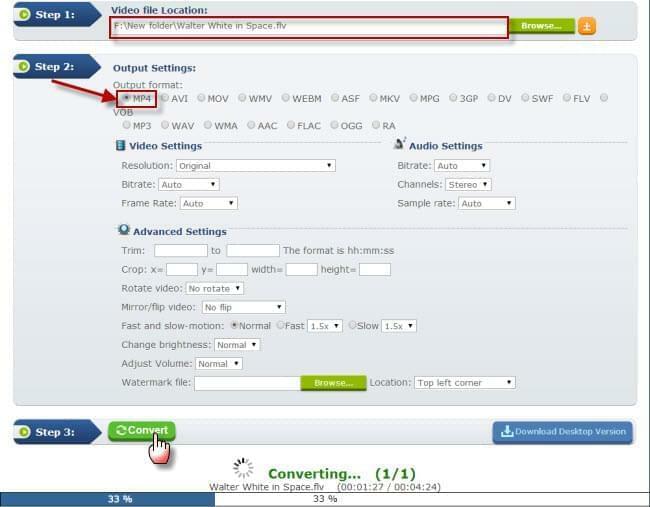 It supports convert any videos to all kinds of common-used formats, like MP4, MOV, AVI, FVI, etc. If you haven’t downloaded your favorite video yet, try the download function. It will save your time. Follow the steps to learn how to convert YouTube to iMovie. Watch video demo here. Click the button below to download Video Downloader for Mac. Launch the App. Visit YouTube through the built-in browser, when you play the video, the stream clips will be auto-detected and added to the download list. Or you can find the video URL you want and copy it. Click on “Paste URL” button, the video will be added into the download list automatically. Click “Convert”. After skipping to the convert interface, select “Add” to add the YouTube video to the convert list. If you have several videos to convert, just click “Add” to add other videos. The video will be converted one by one according to the convert list. Click “Profile”, find the option “Apple”, and then choose your device, like iPhone 5, iPod, iPad, etc. Select the output folder by clicking a blue folder icon. Then click “Start” to convert your videos. When the task finished, select “Open Folder” to find the video you want. Tips: Maybe you download a movie which was separated into several videos. You can select “Merge videos into one file”. This function will help you join the videos into one. If the video takes a long time to convert and you have something important to do, select “Shut down computer after conversion”. The computer will be shut down after finishing convert. If you think it is inconvenient to install a video converter to your PC. Well, how about Video Grabber? It is a free online video downloader with built-in converter. You can convert YouTube videos to iMovie directly through it. Better still, you can download YouTube videos from this App with a few steps. And it works well on both Mac OS X and Windows. Check out following steps to convert YouTube to iMovie. 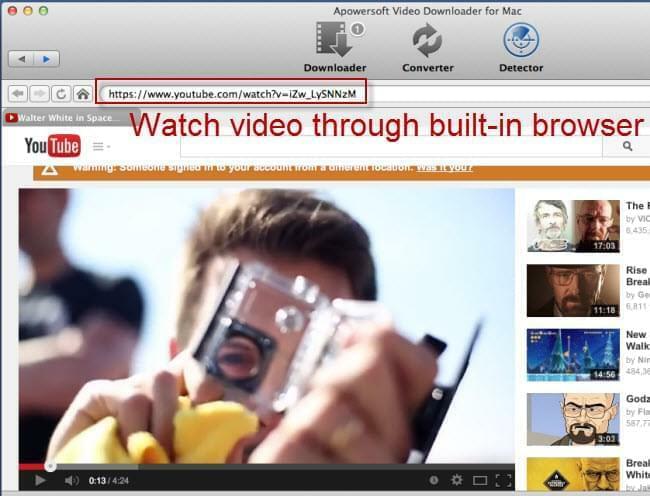 Navigate to video grabber through Safari. Simply click on “Convert Video” tab. Click “Browse”. Wait until the Java notification pop up. Run the Java and then find the video you want to convert. 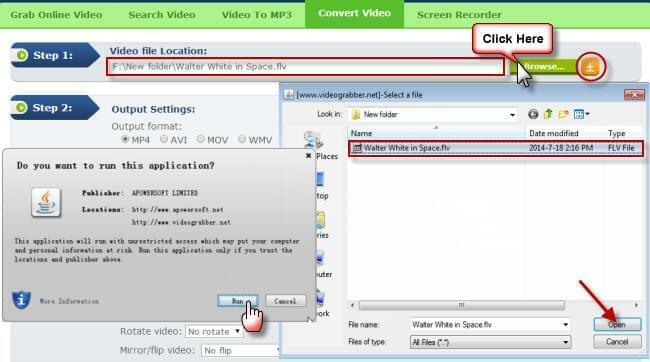 Same as the professional converter, you can click the plus button to add other videos. And the video will be converted one by one. Unlike professional one, online converter does not have “Profile” options. It just has options of “Output formats” like MP4, MOV, AVI, etc. As MP4 is the most widely used on Mac and iOS system, so we choose MP4 here. And then click “Convert” to convert YouTube to iMovie. This web-based tool has no limits on both download and convert. You can free access to use download, convert and record functions. So you can achieve download and convert YouTube videos to iMovie on this online App. For downloading YouTube videos, just find the video you want to download and copy the URL. Select “Grab Online Video”, paste the URL into the URL box, and then click “Grab it” button.